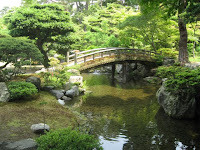 I spent a little bit more time in Kyoto that I wished. There are tens of temples around the city, I went and visited some of them, but after a while they all seemed the same. 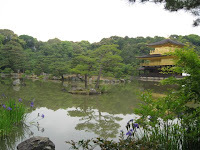 The most notable were Golden Temple and Chion-In Temple. 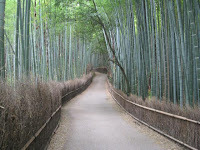 An area that I like a lot and is unique is the Bamboo Forest, in the west part of the city. In the east part there is Fushimi Inari, a good hike under thousand of red tori and a good viewpoint. 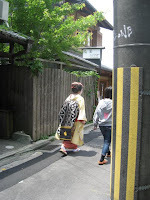 In the city, I guess the attraction is the Gion area; I didn't see any geisha there, just one Maiko (apprentice geisha). 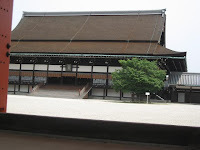 In the last day I visited the Imperial palace and learned more about the history. One thing that I did every single day is strolling down the streets for hours and smelling the trees. I am very glad I got to see Japan. On the other hand, the high cost of living made me feel less free than I wished - I traveled a bit less than I initially planned. Also, I didn't feel so much alive here - I guess that's the problem with "civilized" countries. Ce faci Cristi? Te-a suparat Carmen? Sau de ce ai disparut?